Eventide release their own version of the H910 effect plugin, this time with a dual mode. 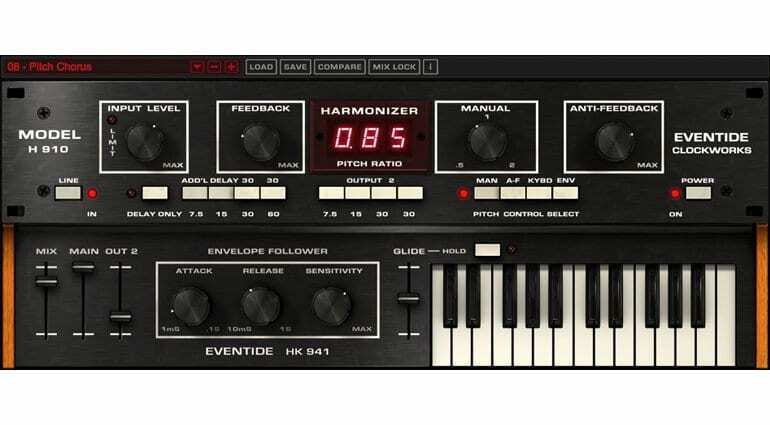 The original hardware H910 Harmonizer by Eventide is said to be the world’s first digital effects processor. It offers various pitch shifting, modulation and delay-style effects, but it was the combination of these effects and its unique sound that went on to it becoming a trick of the trade. The records it has been used on and the artists and producers who continue to use it today is endless. This alone proves the H910 is one of those really special pieces of classic gear. Artists include AC/DC, David Bowie and Frank Zappa to mention just a few. What does the H910 do? Well, Tony Visconti says the H910 “f*cks with the fabric of time”. That should explain it then. The H910 sports a series of pitch shifting, modulation and delay effects with interesting feedback methods. In fact, the scope for different results from this unit is still more radical than some of the plugins we have today. Most importantly though, probably due to it’s low resolution processing, it had a unique sound which we’ve learnt to love. It was even used creatively in post production and is possibly responsible for what we all now consider a robot voice to sound like. 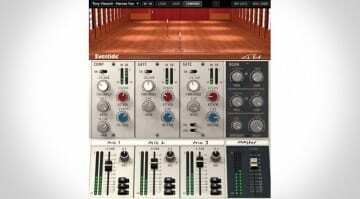 Eventide already developed a plugin version of the H910 with UAD for the UAD platform. Being a UAD plugin you’d be right to assume the high quality and striking emulation of the real thing. Far be it for me to say, but speculation suggests that this Eventide only version is extremely similar in sound, due to Eventide’s strong part in the development. What’s more, they’ve added a dual channel mode new with this release. Having managed to achieve a like for like emulation of the hardware, and included all the usual plugin benefits with UAD, there is one other feature that they’ve added with this Native release. 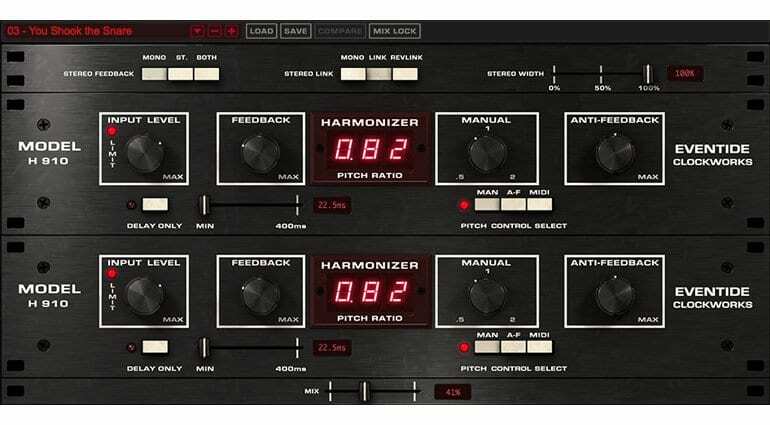 Many producers often used two Harmonizer’s for stereo processing, so with the new plugin you now also receive a ‘H910 Dual Harmonizer’ version. This conveniently places two of the H910’s together, either with independent, linked or inverse processing for building stereo effects quickly. 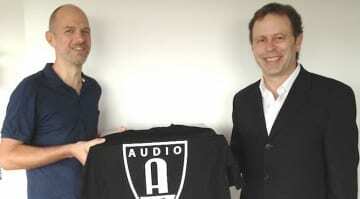 The plugin is designed for Windows and Mac systems in VST, AU and AAX Native formats. There is an introductory offer of 99 USD but it will eventually retail at 249 USD. This initial offer is very good considering the UAD version will set you back 189 GBP. More information and a trial can be downloaded via Eventide’s webpage for the new H910 plugin. Lastly, here’s a video giving an overview of the plugin and how to use it. More videos can be seen on Eventide’s website.